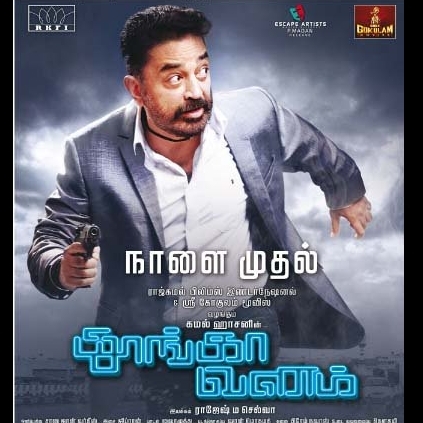 ATMUS ENTERTAINMENT and SAI VENTURES would be releasing the Kamal Haasan starrer Thoongavanam in the USA from November 10, as a Diwali festival special. The film would be having a very wide release across the states. This also happens to be lead actress Trisha's 50th film. We present to you the USA theater details here below. People looking for online information on ATMUS Entertainment, Kamal Haasan, Sai Ventures, Thoongavanam, Thoongavanam USA showtimes will find this news story useful.